The options for treating cancer can be overwhelming. Typically, cancer treatments are delivered in two ways. The first is locally, meaning at the site of the tumor and surrounding tissues, using surgery or radiation therapy. The second is systemically using chemotherapy. Many patients feel some trepidation when radiation therapy is recommended for their cancer care. Fortunately, technology within the field of radiation oncology has advanced in many ways that help us better target cancerous tissue, leaving more healthy tissue intact. Radiation therapy employs high-energy X-rays to kill tumor cells. To put it into perspective, diagnostic X-rays and CT scans are generated using voltage levels in the thousands. Therapeutic radiation – the type used to treat cancer – employs even higher energy X-rays that are generated using voltages in the millions. However, similar to a diagnostic X-ray, beams of therapeutic radiation cannot be felt as they penetrate tissue. That’s not to say there aren’t side effects from radiation treatments. Therapeutic radiation works by damaging the DNA within cancer cells; however, small areas of nearby healthy tissue can also be damaged. The difference is that cancer cells often don’t have the ability to repair this DNA damage and end up dying or stop growing. Fortunately, healthy tissue is largely able to repair itself, making many side effects of radiation temporary. External beam radiation is delivered using our state-of-the-art Varian TrueBeam Linear Accelerator. This accelerator directs high-energy X-rays or beams to the part of the body in which the tumor is located. Internal radiation doesn’t require a machine like the accelerator. Instead, small radioactive sources are temporarily or permanently placed at or around the tumor inside the body. This type of therapy, called brachytherapy, provides a high dose of radiation to the tumor and minimizes the amount of radiation going to surrounding areas. The recommended method of radiation delivery generally depends on the cancer. For example, brachytherapy is frequently used to treat cervical, uterine, vaginal, and prostate cancers. Radiation can be used before surgery to shrink the tumor, making surgery more feasible. Alternatively, postoperative radiation typically targets the resection bed, where the tumor used to be, and other nearby tissues at highest risk for tumor recurrence. In this way, the radiation “mops up” any residual microscopic tumor that surgery may have left behind. There are also many settings in which radiation is given independent of surgery, with or without chemotherapy. Some cancers can be cured with radiation alone. As a radiation oncologist at Methodist, I work with a team of skilled providers to individualize a patient’s care. 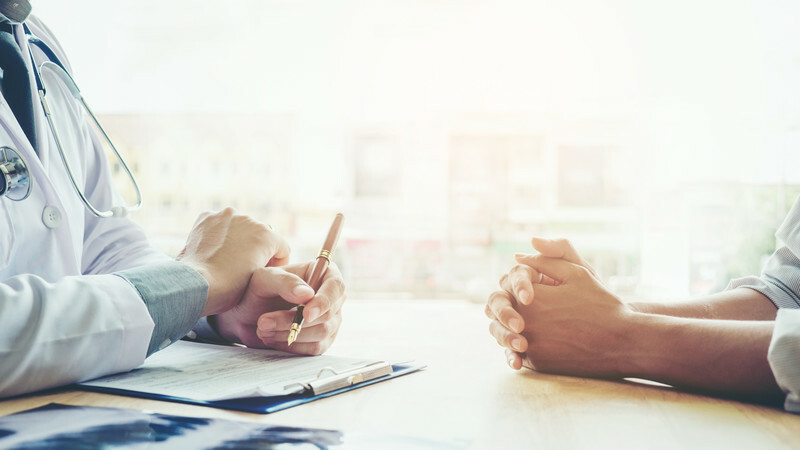 In most cases, all providers involved in a patient’s care will meet and come up with treatment options that are based on past clinical studies and expected outcomes. We call this multidisciplinary decision-making, which is a hallmark of excellent cancer treatment. Despite our recommendations, however, we respect that it is the patient who gets to make the final call. It is their choice to pursue a recommended treatment, other alternatives or no treatment at all. The Methodist Hospital Radiation Oncology Department stands out for its quality of care and its commitment to delivering cutting-edge cancer therapies. Our cancer center is accredited in radiation oncology by the American College of Radiology. With this accreditation, patients can rest assured they’re in the best hands possible. Christian Barney, MD, is a radiation oncologist practicing at Methodist Estabrook Cancer Center, Methodist Jennie Edmundson Cancer Center and West Dodge Medical Plaza. He is humbled by the opportunity to participate in an individual’s cancer journey and enjoys witnessing the healing impact of radiation therapy. He believes individualized cancer care is best achieved through frank and honest discussions with his patients, followed by multidisciplinary decision-making involving an entire care team.